Hey there Nummy Num Num; I feel that an apology is in order. I haven’t called or written or even as much as Facebook-stalked you, and you don’t deserve that. All I can say is it’s not you, it’s me. I have been under the post-graduation stressfest of job-searching, and snarky-yet-succulent recipe-posting fell by the wayside. Well, no more! A job has been procured and I can now get on with the incredibly important business of telling you all how to pile on the pounds in the most delicious fashion. So here goes. 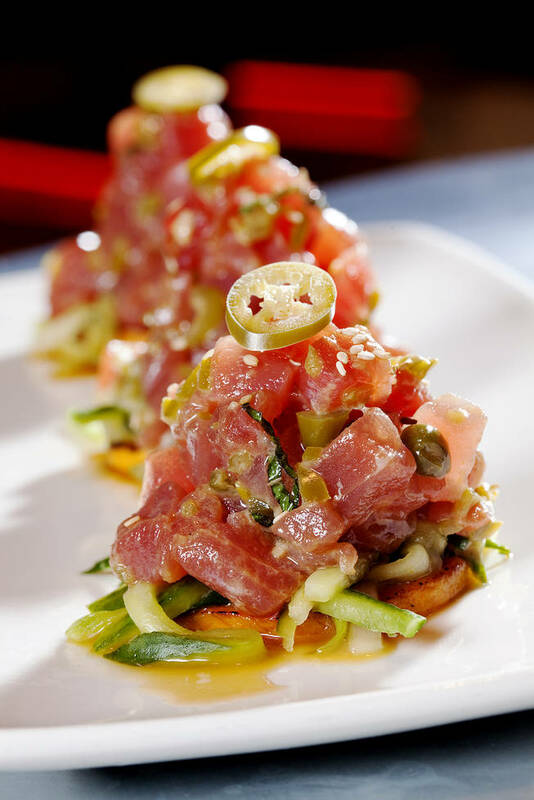 The Chef, in his endless quest to make every type of taco imaginable, concocted a ceviche variety in order to take advantage of the amazing tuna Paradise Seafood sells at the Memphis Farmers Market. When it’s as fresh as theirs is, a few veggies and some fresh citrus are all you need to highlight the tuna’s fantastic flavor. I’d suggest serving this alongside the highly addictive Mexican Corn and with Angie’s Salsa Fresca or Southwestern Slaw as topper options (three more recipes that will allow you to take advantage of MFM’s unparalleled produce). Top it all off with a Blue Ribbon Margarita and you’ve got the perfect summer supper. Bon Apetit! 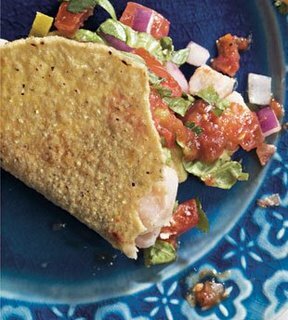 Serve on crunchy tacos (crunch is key for ceviche, so don’t swap out for soft tortillas) and top with sliced avocados. Find a patio, pour yourself a ‘rita, and enjoy.